A lecturer at the Marine Sciences facility at Istanbul University, Dr. Yavuz Örnek has sparked controversy after he went on live television and claimed that prophet Noah in the Bible used mobile phone to place a call to his son who was then living elsewhere to join the rest of the family in the ark. 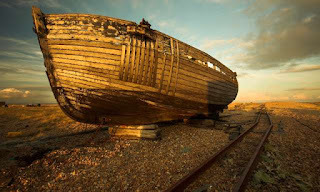 Odditycentral.com reported that the man further claimed among other things that even the ark was built using steel, after which nuclear energy was used to power it. Dr. Yavuz Örnek reportedly made the claims on Turkey’s public broadcaster, TRT 1, apparently to suggest that technology was more advanced in the past than it even is today. The negative reactions were so intense that after returning from a commercial break, the host, Pelin Çift could not help, but share in the general view of the audience.